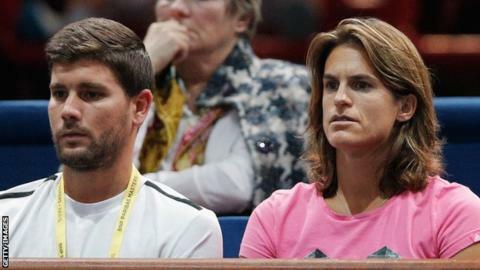 Britain's Andy Murray has retained Amelie Mauresmo as his head coach, but parted company with her assistant Daniel Vallverdu - who had been with the Scot for the past five years. Fitness trainer Jez Green will also no longer travel with Murray in 2015. The British number one's 2014 season ended with a 6-0 6-1 thrashing by Roger Federer at the ATP Tour finals. "We sat down at the end of the season and decided that a change would be best for all of us," said Murray. "This will have been a tough decision for Murray to make as both are friends: his friendship with Vallverdu dates back to their days as teenagers in a Barcelona academy. The Venezuelan has been a vital cog in the wheel over the past five years, but his role has been downgraded since Mauresmo replaced Ivan Lendl and committed to many more weeks on tour. "Her arrival, and the manner of the announcement, caused a few ripples in the team: this decision puts Mauresmo at the very heart of everything Murray hopes to achieve in 2015." "My off-season training and Australian Open preparations have already begun and I am very excited for the new year. "I thank Jez and Dani for all their hard work over the years and wish them the best for the future." Former women's world number one Mauresmo took over the role as Murray's coach in June, and he finished the year at number six in the ATP world rankings. The Australian Open, the first Grand Slam of 2015, starts on 19 January.